After a brief hiatus to search for his most genuine vision in music, DJ/producer Prince Fox has slayed his return with “Fake It.” Premiered last week via Billboard Dance, the heartfelt new single already has dance fans enthralled with the world of all things Prince Fox. On Monday, Sept. 24, Prince Fox took over The Nocturnal Times’ Instagram, offering our followers and inside look at a typical day for the talent, who posted from the studio over the course of the day. Sam Lassner, AKA Prince Fox, has gone coast to coast from his hometown in New York to the music mania of Los Angeles. Attracting his international fanbase along the way, Lassner continues to build up his impressive repertoire of music that began with a diverse array of remixes. Tapping into mixes from Florence and The Machine’s “You Got The Love, to Cazzette’s “Blind Heart,” to SNBRN’s “Raindrops (ft. Kerli), and many more, Lassner’s radiant aura sparked a record deal with Casablanca/Republic Records. “Fake It” marks a new era for Prince Fox’s evolution of sound and journey through electronic music. The title of this new single is no accident, rather showcasing the artist’s pure intent on making the switch from, as he says “trying to fit in, and be like everyone else”, to just wanting to be himself. Embodying this core characteristic which highly resonates with many other producers, Prince Fox is embarking on an exploration of soundscapes that are sure to blaze a roaring trail through the industry. Commanding his presence in the scene, Prince Fox has become an infectious soul that proves to be irresistible time and time again. 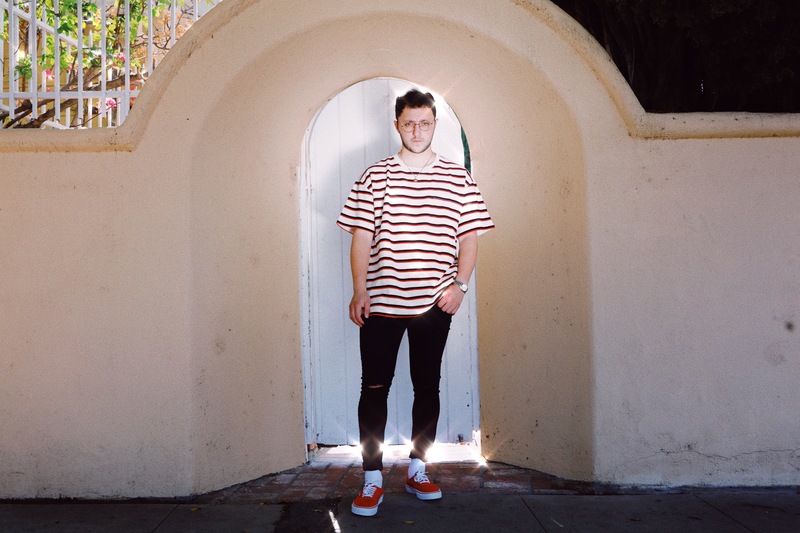 He has become a sought-after collaborator for superstars such as millennial icon Bella Thorne (Just Call), Academy Award-nominated actress/singer Hailee Steinfeld (“Fragile“), Youtube Star Tana Mongeau, indie-pop newcomer Quinn XCII (“Space“), and rock band The Griswolds (“Time Alone“). Read our exclusive interview below to see what Prince Fox had to say about his journey into electronic music, major influences, studio time, and a whole lot more! The Nocturnal Times: How and when did you first begin exploring dance music? Why Prince Fox? Prince Fox: started (kind of) playing guitar when I was 7 – but my full on obsession started I would say when I got my first electric guitar at age 13. I picked the name prince fox for a few reasons; Firstly because I wanted to not have to go by my real name, secondly I thought it was cool when I wrote it in my notebook 1000 times in class in college, and finally the book the little prince was a big part of my upbringing and the two main characters were the prince and the fox. The Nocturnal Times: Did your upbringing impact your decision to pursue a career in music? Did you have any musical training when you were younger and how did you first discover music? Prince Fox: While I did have some lessons growing up here and there, my passion for music kind of came from being on the internet/ youtube so much, and watching my favorite artists perform and be “in the studio”. I would just kind of dream all day about being them and doing what they do, and as soon as I got home from school went right back to my guitar and laptop. My earliest ‘musical memory’ was when I was an infant, my parents couldn’t put me to sleep unless they put music on the living room stereo first to calm me down… so I guess subconsciously I always “needed” music in some capacity. The Nocturnal Times: Which artists were your biggest influences in the beginning or driving forces for you and have they changed over time? The Nocturnal Times: You are releasing “Fake It”, which was single-handedly written, recorded, engineered, and performed by you. What can you share with us about this record? Prince Fox: “Fake It” kind of came about in a weird way. It started off as me just spitballing ideas for a more basic angsty love song, but about ¼ of the way through writing it I decided that I wanted to challenge myself and make it a song that could have a double meaning: it could be me singing to/ about an ex or lamenting/reflecting on my insecurities and issues with my career at the moment and touring. Prince Fox: Having been the only one to work on this record from the writing to the final mix and master, it just feels even more personal if people love it or hate it… it just comes from a real place of uncertainty in my life at the time and it’s all out there for people to pick apart. The Nocturnal Times: You’ve worked and toured alongside some very talented acts over the course of your career thus far. Which have been your favorite or most memorable to work with? Who are some of your dream collaborators? Prince Fox: The LTC guys are awesome, and I would love to tour/ work with them again soon. I am doing a lot of behind the scenes work at the moment now too for a few different acts, and I just want to get in the room with John Mayer any way I can; whether for me or another artist, I just kind of want that chance to prove myself to my biggest idol. The Nocturnal Times: What’s a typical day in the studio like for Prince Fox? What are some of your favorite plugins? Prince Fox: I wake up at around 730am; take the dog for a walk/ to get coffee; sit at my desk from 8am – 7pm to work on music; I cook dinner for my girlfriend and I; and either watch the news with her or take a night session at Westlake or some studio around here. My favorite plugin would have to be little alter boy/valhalla reverb. I use them both wayyy too much. The Nocturnal Times: Thus far in your career, what have been some of your most proud moments? Prince Fox: I think that a big part of my time off from touring was about focusing on being proud of everything; the ups and the downs; because that effectively led me to today, and today I feel pretty good! The Nocturnal Times: What are some of your long-term and short-term goals? Prince Fox: I want to keep sharing music with as many people as possible pretty much now and always. I see success now in a different way in that if I am sustaining/growing my audience thats a huge blessing, and I just have to focus on being thankful for every day I get to do what I love. I think success is being thankful and comfortable in life but still motivated to do / achieve more. Prince Fox: Hopefully still doing what I am doing in a nice glass house on a hill with some plaques on the wall, an even bigger studio, and places to hang out with my dog and girlfriend.